Our son Niall was born prematurely and was very slow to stand and take his first steps. His speech was also delayed. Being a premature baby, Niall suffered some brain damage that resulted in learning difficulties and poor coordination. When he was three we took him to see a consultant and he was diagnosed with Ataxic cerebral palsy. Ataxia causes an interruption of muscle control in the arms and legs, resulting in a lack of balance and coordination. The specialist said that Niall would probably always have a balance problem, and that he might never be able to kick a ball. We were very upset and worried for Niall, but we were determined to help him fulfil his potential. We wanted him to have as normal a life as possible and be part of his community. We sent him to our local primary school with his older sister and the staff and students were very supportive. Niall’s dad Pat was convinced that he could progress, and began coaching him in kicking a ball on the kitchen floor. This little kick-a-bout fostered a love of not just football, but of sport of any kind. But despite this passion, he was obviously not as capable as other children and would get very upset when he couldn’t make the regular team. A real turning point came when Niall joined The Arch Club in Navan and began playing basketball. We were all thrilled and very proud of him when they were eventually chosen to become part of the Special Olympics Team. When the Games were over there was nothing for Niall to do in the area of sport. He was very keen but not good enough to compete with able-bodied peers, and as a result he became much more sedentary and began to put on weight. My own view was that running was something that Niall could do, because he could do it at his own pace. I wondered if he might get a buzz out of improving his times, and possibly do some sportives and get out there in the wider community. Niall’s dad is a very experienced runner and has done several marathons, including Dublin, Boston, London and Belfast. He also coached several individuals to run marathons and had belonged to a running club called Royal A.C. He is big into keeping fit and some days would cycle 100 kilometres. A significant challenge in teaching Niall to run was due to his inability to stay between the lines on a running track. So Pat took him to Claremont Stadium in Navan where they practiced using coloured cones, which helped him to stay in between the lines on the track. Claremont were very helpful and accommodating, and over time this method worked. Niall’s first official race was a 5k in Kells. Niall has a fear of walking up or down hills because he thinks that he will fall, and if there are lots of people around he feels even worse. We have been told that this is probably caused by a combination of perceptual difficulties and poor co-ordination. So we were all a bit tense and anxious, especially because the race started on a hill! His dad was confident, and when I saw Niall running across the hill towards the finish line it was one of the best moments of my life. We were exhilarated. Since then, he has done almost 50 5k road races. Oldbridge parkrun is very close to us and we often used to go there for a coffee. 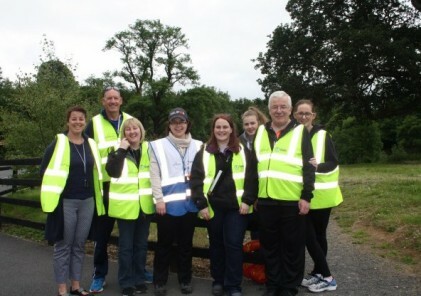 Niall’s dad suggested he think about taking part in parkrun, and so he did. His first parkrun was in November 2014, and he didn’t miss one for the first seven weeks! Earlier this month, Niall joined the 100 Club and he continues to go from strength to strength. Niall loves going to parkrun and has got to know so many people. He loves the coffee afterwards and he takes over my iPad checking for his time to come in! He seems to look at it frequently, analysing improvements and differences in times. 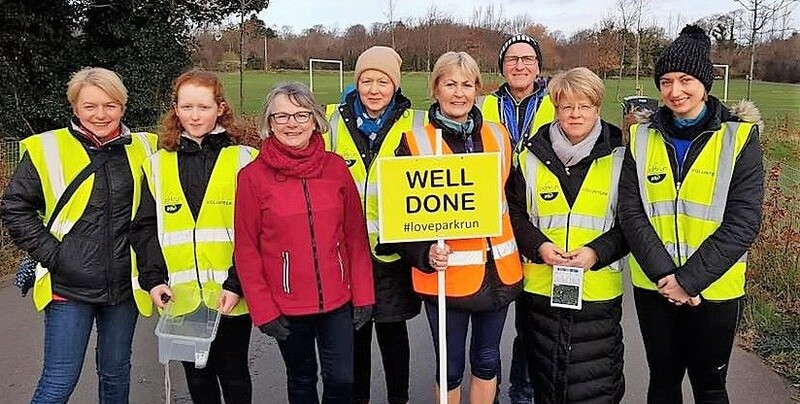 parkrun, and running in general, has had a positive impact on Niall in so many ways. It is a vey special part of his and Pat’s weekend. It motivates him to try to stay fit – he says running clears his head and puts him in good form. His confidence has also improved due to being out there socialising with all the other runners. There is a brilliant atmosphere at Oldbridge and everyone is very encouraging and supportive. Niall would tell other people with cerebral palsy that running is great fun and very accessible. It’s great to get out in the fresh air and be part of nature, and it is an achievement. Niall also loves chatting to the other runners. As for other parents of both children and adults with cerebral palsy, I would encourage you to keep searching out things for your child. Eventually they will find their niche, and as we know from Niall’s experience, it is certainly worth the wait. If you would like to share your own story with the parkrun community, please get in touch.